Description - Available in a variety of beautiful stone patterns and design options, you are sure to find the perfect peel and stick vinyl tile for any room. These low cost stone tiles may look like the real thing, but they are constructed with durable vinyl creating a floor that is easy to install, clean and care for. 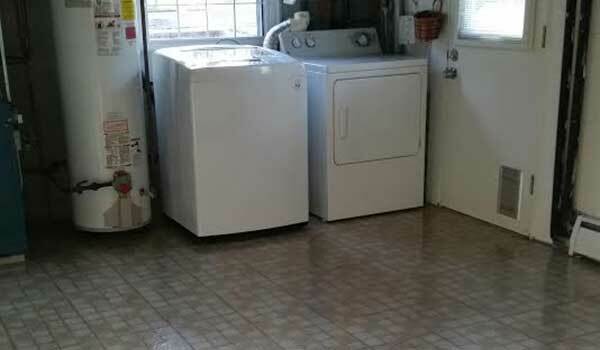 Resistant to mold, mildew, and water, this flooring is perfect for kitchens, bedrooms, laundry rooms, and more. Material – Made of durable high quality vinyl. Size – 12” x 12” tiles in boxes of 20 tiles per case. Weight – 9.3 Lbs. per box. Recommended Uses – Stone pattern peel and stick tiles are very popular and have been used in a range of locations. Some rooms that these tiles have been used in are kitchens, bathrooms, bedrooms, offices, home libraries, home studios, art rooms, utility closets, laundry rooms, basements, break rooms, cafeterias, and many other areas. Self adhesive vinyl floor tiles. High Gloss, No Wax Finish. Around here, we like DIY (do it yourself) projects. It's important to us that we offer products that we can get behind. When you see our Certified: Easy to Install stamp of approval, you can rest assured that the product is tried and true, a product that you can install - no need to hire a professional. In this case, YOU'RE the professional - you've got this!! Go ahead and give yourself a pat on the back for that! how can i remove stone peel stick viny tile ?Is it difficult to remove ?DO i need any special product to remove ? Peel and stick tiles are made with durable adhesive to ensure a strong bond to the ground beneath. If you can pop up a corner of the tile and pull it up, you may have residue left underneath that needs to be scraped away. To remove dried glue from the floor you can use either acetone or mineral spirits. You would put either on to a rag and wipe up the dried glue. You would then follow that up with a dry rag to clean off any residue. If there is still some residue left, you can use water to wipe it up. You would then follow that with a dry rag. Given the low price, I expected these tiles to be lower quality. They actually looked great, peeled nicely and stuck to the floor easily and stayed in down. Each tile was not cut exactly the same from a design perspective, so if you're a perfectionist, these aren't for you. I used them in my large laundry room and they look fabulous. Shipping was pricey, so the cost more than doubled once shipping was included. The FlooringInc.com tile was inexpensive, arrived quickly, and was easy to install. I totally recommended it as a punchy and fun way to update any space.